We recently spent most of the month of March in Austria – mainly in Vienna but with a weekend in Salzburg, and a couple of days trips as well. So how much did we spend for a family of four? A total of €1373, or AUD1909. That was an average of €52.80 per day, or €13.20 per person per day. Not bad for a expensive city! Here’s how we did it. That’s right, we didn’t pay any accommodation costs for the whole time we were in Austria. Our two secrets were HelpX, and Couchsurfing. We’d previously used the HelpX (Help eXchange) website to get people to help us get our house painted and ready to rent out, back in Brisbane, Australia. We’d acted as hosts and provided free accommodation and meals in exchange for 3-4 hours work a day, 5 days a week. This time in Vienna, we played the role of helpers, and ended up staying with a lovely family in the city’s outskirts, a place with the evocative name of Donaustadt, which means ‘Danube City’. We had a basement bedroom, living area, and bathroom all to ourselves and were only a 20-minute metro trip away from the historic centre of Vienna. Our tasks involved helping their kids with their homework, and helping around the house with the cleaning, cooking, laundry, and garden weeding. We generally did an hour or so of housework in the morning, then, after an excursion to the city, made it home in the afternoon in time to help with homework and dinner and any further chores. It all worked out pretty well but we did find that between our chores and all the sightseeing there wasn’t much downtime for just relaxing and doing nothing. Not that that really matters, as we’ll have plenty of free time in Zakynthos. 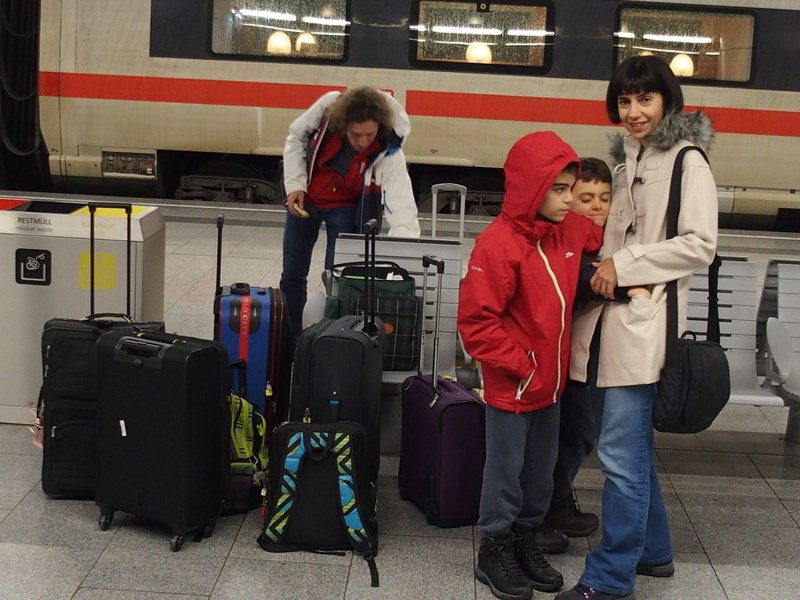 On our weekend away to Salzburg, we Couchsurfed with another lovely family who lived in a town called Oberndorf 15 minutes by train from Salzburg. Once again, we paid nothing for accommodation and got to meet some wonderful people. It isn’t so much the money saved as the opportunity to make friends all over the world that we value. And hopefully we’ll be able to reciprocate their hospitality at a future date. Our biggest budget item, at €485, was food, which is a bit worrying, as pretty much all our meals were provided by our hosts. Being a family with a couple of fairly fussy eaters, we did buy groceries to supplement what was provided, and also to cook a few of the boys’ favourite meals. There were only a few meals out; when we went for a day trip to Bratislava, when we went hiking, and when we spent the weekend in Salzburg. We tried to economise by packing sandwiches to eat when we went into Vienna city itself, which was good in theory, but on a chilly March day what that involved was you gulping your sangers down quickly so that you wouldn’t freeze and lose feeling in your fingers before you could actually eat anything. Outdoor picnics are probably a better idea when it’s a bit warmer. One area we didn’t really economize in was having a coffee in the wonderful Viennese coffee houses. Not only were we getting a cultural experience with our caffeine but it was also our chance to sit down, chill out, and warm up. Catching the train after a 21 hour flight isn’t glamorous but it’ll get you there. The next biggest expense was transport, at €386. Getting around isn’t cheap when there’s four of you! Ralph and I got a monthly travel ticket for €52 each, but we had to buy the kids’ tickets each time they traveled, as there is no kids monthly ticket. Each kid’s travel cost €1.10 a go, which could be used on buses/metro/train and included transfer. The other major transport costs were the train to Salzburg (€89), and the train to Bratislava (€48). We also hired a car for one day and drove to the Wachau valley, which cost €39 (including insurance), and €17 for the petrol. This came to €321, and included a multitude of museums: Belvedere, Schonbrunn, Mumok, Wien Museum, Salzburg Museum, Arms Museum in Bratislava, Melk Abbey, Globe Museum, and the Prunksaal. Unfortunately, nothing is free in Vienna, quite unlike the Australian and British free museum system. We also paid (separate occasions) to climb up St. Stephens tower, and down into its catacombs. Other favourite activities included the kids’ ice-skating in front of the Rathaus, the Schonbrunn Tiergarten (that’s the city zoo), and a day trip to go snow shoe hiking. 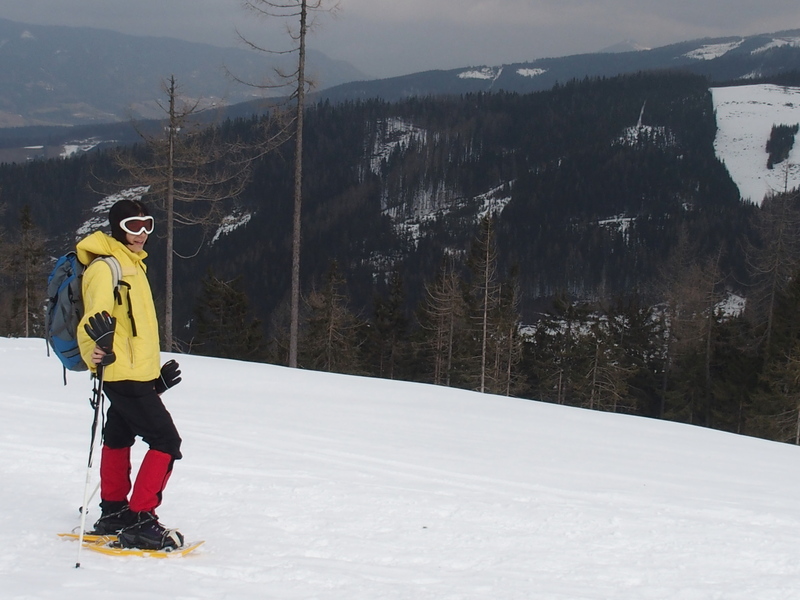 Snow shoe hiking in Lower Austria. Our ‘Miscellaneous’ costs came to €94, and consisted mainly of a pair of hiking boots for Ralph so that he could go snow shoe hiking. Other items were toiletries, a couple of toys for the kids, tips, and donations. We must be the only family that travels and has a ‘Books and Reading’ category; this came in at €52. Most of it was present money to the boys (which they decided to spend on books), as well as a few newspapers, and a couple of books in German for us. I’m not particularly meticulous in my record keeping so I decided to buy an app for my phone to record all our spending. I chose Trail Wallet for iPhone which cost AUD4.99. It made it easy to keep track of expenses and, crucially, it worked offline. Who Says You Can’t Travel With Kids? So that’s it. We spent a month in Austria for the cost of a 10-day beach-side holiday in Australia. Obviously the flights are extra, but traveling in Europe can be done on a budget with a little imagination and some research. Kids are not an excuse to not do it! Sure, we didn’t get to eat out in fancy restaurants and catch taxis everywhere. There were some attractions that we decided we just couldn’t afford. But the friendships we made and the experiences we had are far more memorable. It was a pleasure to host you in our house in Vienna. We had a really wonderful time with you all and you were a great help, esp. with the children and cooking after our long working days. You are a great family with lovely children. Hope to see you again one day – in Vienna or whereever. Thanks Silvia, it was a wonderful experience for us as well. Maybe we can host you in Australia one day when we move back. 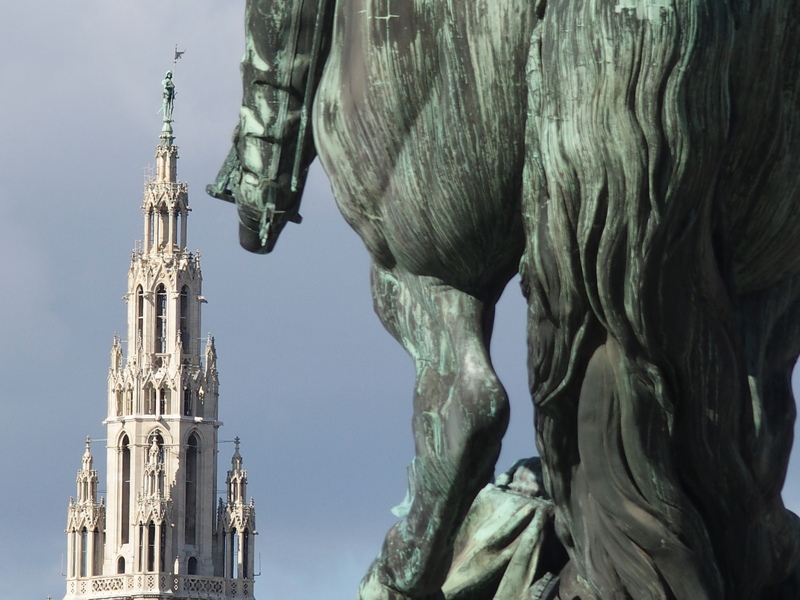 We definitely hope to visit Vienna again – we all loved it! Inspirational 🙂 so it is possible to travel with children and not go broke, if they are well-behaved and not spoiled brats lol.